The Cedar of Lebanon is one of the few ‘true’ Cedars species, belonging to the Pinaceae family. It is an evergreen conifer, growing only in a very small territory in the Eastern Mediterranean countries, in Syria, Turkey and of course Lebanon, that also carries the tree on its national flag, being the national emblem of the country. The wood has exceptional resistance to degradation and is also virtually immune to insect ravages. For these reasons and also for its delicate scent, the Cedar of Lebanon carries a high symbolic value to the local populations, and several ancient scripts, including the Old Testament testify the consideration it was given to this beautiful tree. The grain is straight, with a medium sized texture; the heartwood color varies from cream to light reddish color. Tonally, the Cedar of Lebanon is quite similar to the Spanish Cedar. It is marginally clearer sounding, with a hint more of attack and definition. For the relatively small diffusion of the tree, it has been only rarely used for the musical instrument manufacturing.  In B&G Guitars we only select a small reserve of hand-picked tops that we use for an exclusive edition of the Little Sister Private Build C.O.L. In this guitar, coupled to our carved, semi-hollow Honduran Mahogany body, the Cedar of Lebanon top delivers an exquisite, delicate and detailed acoustic character, that is a favorite among fingerstyle players.